Łukasz Sułkowski is the President of the Management Board of Public Consulting Group Polska. He holds a professor degree in economics and a doctoral degree in humanities and specializes in issues related to university management. 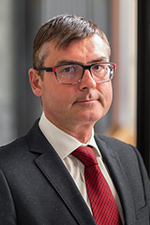 He is the head of the Department of Higher Education Institution Management at the Jagiellonian University as well as a profesor at Clark University and at the Academy of Social Sciences. He is a member of the Polish Accreditation Committee (2012-2017), and since 2016 – also its vice-president. Since 2008, he has been the editor-in-chief of the "Journal of Intercultural Management" quarterly. He authored or co-authored 300 works, including 12 monographies, published by prestigious publishing houses (Springer, Lexington, Lang, PWN, PWE). He implemented 14 research grants from the European Union, the National Science Centre and the Ministry of Science and Social Education, he is currently the head of the project ”University of the Future” (”Dialog”). he is a member of international organizations and associations: American Academy of Management (AAofM - USA), International Family Enterprises Research Association (IFERA), Reseau Pays du Groupe de Vysegrad (PGV, Steering Committee – France) and the European Academy of Management (EURAM). He has many years’ managerial experience working in corporations (Nestle, Fazer) and in consulting (FPL Consultant) as well as being a member of supervisory and advisory boards (BCC). Mr. Maguire's role includes strategic planning, client development, partnership creation, product development, and organizational development for PCG's global consulting services businesses that include PCG Polska, Sp. Z o.o with offices in Warsaw and Lodz, Poland and PCG Advisory Services LTD in London. He came to PCG from the University of Massachusetts Medical School, where he was Executive Director of Human Resources and Global Projects for the Commonwealth Medicine strategic business unit, which provided clinical and consulting services to 33 states and 30 countries. He is a senior faculty member in the Master of Public Administration and Master of Science in Professional Communication Degree Programs at Clark University in Worcester, Massachusetts. 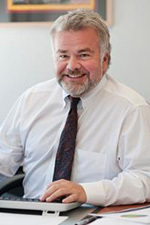 Mr. Maguire formerly held a position of Dean of Continuing Education at Anna Maria College. He has 25 years of global organizational consulting experience with clients including EMC2, EMC2 Limited Bangalore India, Pfizer PGRD, Texas Instruments, The International Chiefs of Police Association, The Institute for Transitional Economies, The US Army, The US Navy, Electricite' de France, and Gaz de France. Mr. Maguire has participated in USAID-funded projects with delegations from Tanzania, Cote d'Ivoire, Russia, Uzbekistan, and China. He holds a Bachelor of Science Degree from Syracuse University, a Master of Arts Degree from Emerson College and has completed his doctoral course work in Adult and Human Resources Education and Training at The University of Connecticut. Bill's career has centered on serving the fiscal and operational needs of the public sector. Upon graduating from Clark University in 1976, he first worked as Assistant Revenue Director for the Commonwealth of Massachusetts Department of Mental Health and Mental Retardation. In 1981, he left public service to become Director of Reimbursement for Harvard Community Health Plan's Parker Hill facility, a small public hospital located in Boston's Mission Hill neighborhood. 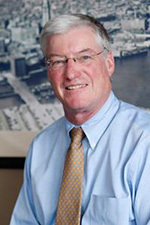 Prior to forming PCG, Bill was a senior consultant with Touche Ross & Company now Deloitte &Touche, where he worked on expansive and comprehensive strategic planning projects for health and human services facilities across the country. 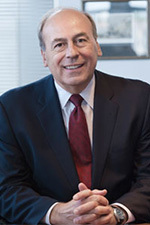 Bill served as chairman of the Clark University Board of Trustees in Worcester, MA (2007-2011), where he and wife Jane also founded the Mosakowski Institute for Public Enterprise. Additionally, Bill serves as Board member of St. Mary's High School in Lynn, MA and as a member of the Board for the Massachusetts Association of Mental Health (MAMH).